Sure you’ve been to a church wedding before, but do you know the proper etiquette for a wedding on the beach? Here are some tips so you’re ready for the big day. Remember even though this is your wedding, it is still a public beach. 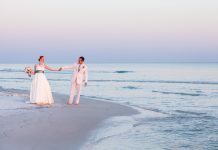 There may be other people on the beach during your ceremony or at picture time. It just adds to the character. Share the space, be courteous of others and please remember to clean up after your event. Since your venue is outdoors, beware of wildlife around you. March through October is sea turtle nesting season in South Walton. Don’t set up too early or too late to avoid interfering with the sea turtles’ path from their nests back to the Gulf of Mexico. If you spot a nest, don’t touch. It is against the law to disturb nesting sea turtles, hatchlings or their nests. Don’t expect your guests to come to a wedding on the beach in formal attire, wobbling across the sand in heels. Generally beach weddings are casual, some guests will come in cotton dresses or shorts, flip-flops, maybe even barefoot. Let your guests know in advance so they will be comfortable in the sun and sand through the ceremony. 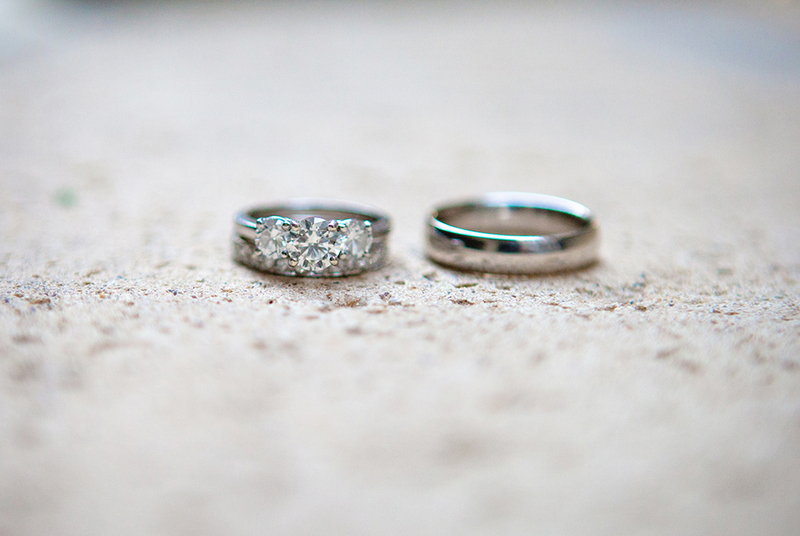 Do you have and friends flying in for the destination wedding? Make sure you plan ahead! It is only polite to offer guests with transportation and lodging accommodation choices for your wedding, especially if they are coming from out of town! Though you don’t have to pay for every person to have a hotel suite (wouldn’t that be nice) you still should inform them on places to stay nearby, and provide transportation if needed. Check out our list of accommodations for ideas. 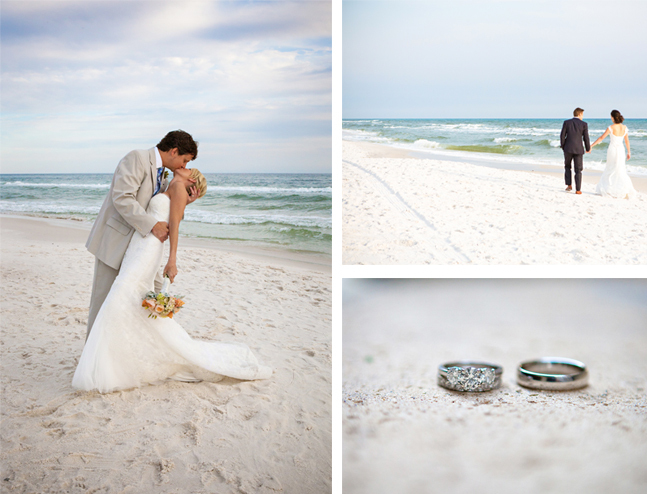 It is ok to ask your guests to stand for a beach wedding if it is a small, intimate affair. Due to the location an casualty, most beach ceremonies are short, sweet, and to the point. If there is a larger number of guests, or the ceremony will be long, provide seating.